On September 8, 2018, Kalamazoo resident Valerie Litznerski will attempt to become the first woman to ride a bicycle from Sturgis, along the southern border of Michigan, to Sault St. Marie in the Upper Peninsula, a distance of approximately 350 miles. Li tznerski, 35, hopes to complete the ride, with its starting and end points sanctioned by the World UltraCycling Association, in less than 24 hours. In 2012, Litznerski rode from Muskegon to Port Sanilac, a distance of 206.9 miles, in 11 hours and 19 minutes, an average of 18.28 miles per hour, and is the current women’s West-to-East across-Michigan cycling record holder for that route. 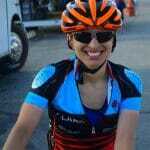 On June 17, 2018, she competed in the National 24 Hour Challenge cycling event in Middleville, Michigan and logged 424.3 miles in 24 hours, finishing second overall for women. 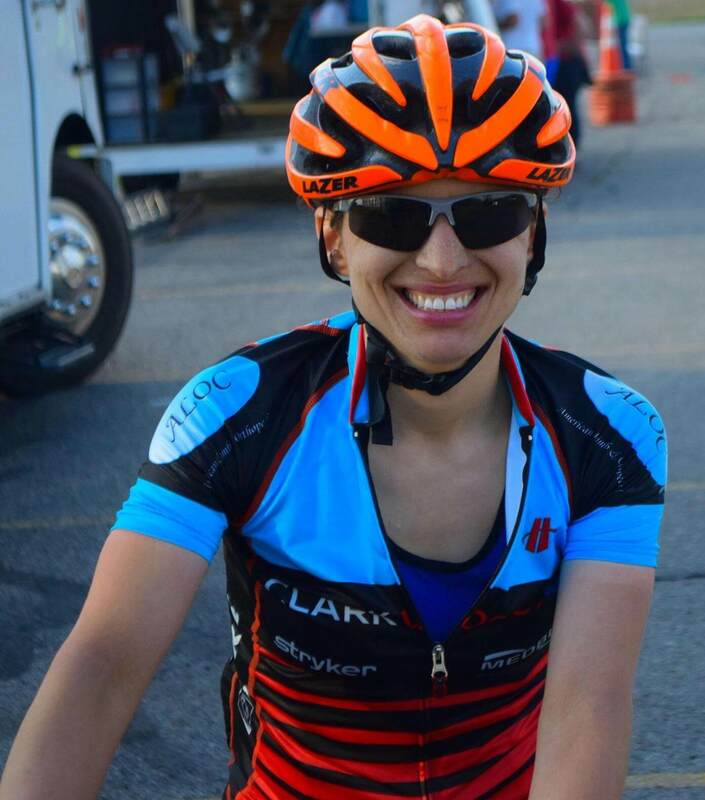 One of Litznerski’s reasons for attempting the ride in September is her desire to raise awareness of, and funds for, issues related to the safety of cyclists on the nation’s roadways. She was hit by a car while on her bike in August of 2011 and spent seven months recovering from surgery to correct torn ligaments and other severe injuries. Funds raised will go to the Kalamazoo Bicycle Club’s Education Fund to disseminate information regarding safe practices for drivers and cyclists. Litznerski’s parents and sister will staff a follow-and-support-vehicle equipped with signage and flashing yellow lights during the record attempt. World UltraCycling Association rules stipulate that an official record the time every time she completes ten miles. No cyclists will be allowed to accompany Litznerski on the route and she cannot disobey any traffic laws. The official timing clock will pause while she is driven over the Mackinac Bridge.